If you are living in a cave then probably you will never know about the rising gasoline prices around the country. Everyone who has a car and goes to a gas station knows that he has to pay through his nose to pay the price of the gasoline. All of us are feeling the pinch of these rising prices especially for SUV and minivan owners which are mostly owned by the families who have children. This is really unfortunate that they are bearing the rising cost of gasoline even though they cannot afford it. This is not the case with gasoline alone, even food prices and other living expenses are rising, the families are really in an awkward position and it is becoming very difficult for them to cope up with the situation. The average full tank of minivan and SUV does not last long, when the gasoline price were $3 everybody was in shock but even at $10 per gallon should give us enough reason to change. Many families are considering selling their vehicle but there are no takers. The market has become too saturated with SUVs and minivans that there are no buyers. Even if you go to the dealers they will offer very less amount than the actual worth of the SUVs and minivans. I’ve spoken to a Jeep dealer the other day, according to him, it is very hard to convince a customer that their $12,000 vehicle can actually fetch them $3,000 only. He says he tries to convince the owner to spend $20 or $30 more at a pump rather suffer a loss of $10,000 in the trade in. This may make sense but it is always difficult to find money for gasoline every week. There is a way out if the owners of minivans and SUVs use a fuel catalyst. A fuel catalyst is known to increase the fuel efficiency by 10 to 35%, it would be around 40 cent more saving per gallon. It is known that almost all the vehicle burn only 85% of the fuel in the tank, but fuel catalyst helps to burn the fuel almost completely; this will give you more mileage per gallon. The 15% increase means a jump from 17 mpg to 19 mpg, which is a substantial increase. A family which drives the vehicle for 15000 miles per year at $4 per gallon would save around $375 a year on gasoline. With the rise in gasoline prices, accordingly the savings will also increase. Apart from savings in fuel, the engine maintenance cost will also come down by 50%. Fuel burns at lower temperature when fuel catalyst is used; therefore it does not allow carbon build up in the engine. A cooler and cleaner engine needs less maintenance and will last longer. 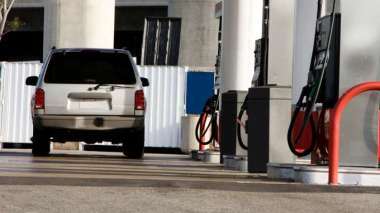 Every point counts, every tip works, the owners of SUVs and minivans should take these tips seriously to help themselves by saving on the gasoline price. This is the sure way to cope up with the rising prices and save money on gasoline and engine maintenance.